This forum is to pay tribute to members who have been called home. In memory of "RonG"
Post equipment questions/comments of any nature and photos within the corresponding forum. Post shop tips, unique repairs, shop projects here. Please post machine specific repairs in the corresponding machine forum. Where industry trades may interact with members, special promotions, R & D, etc. The youngsters enjoy looking forward to a career playing with the real thing, while the adults look back fondly on those responsibility-free days when the toys were just toys. 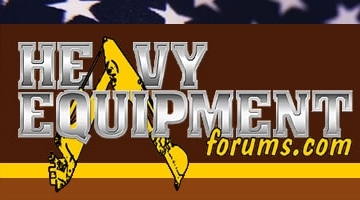 This section is for all those interested in heavy equipment toys and models. Where as a Scrapper is a single piece of equipment with it's own power train ? Is a PAN basically a Scrapper that has to be pushed or pulled by another piece of Equipment ?